Greatly develop kid's cognitive ability, intelligence, creativity. Enrich kids' life and improve children's IQ. 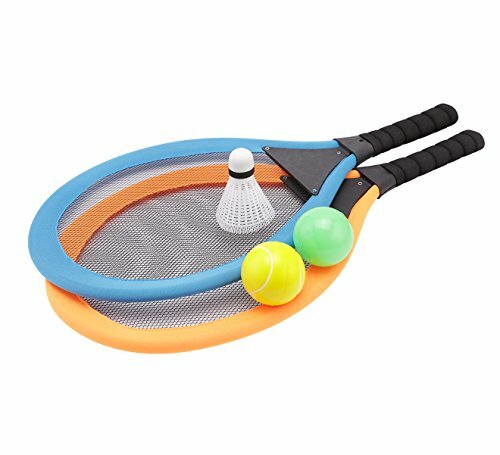 Unlike most outdoor game sets for kids,this tennis racket play set for kids doesn't have to be staked in the ground,just place the freestanding net on a hard surface and let the games begin.